A noble silk top made of elastic satin silk in an urban design with clear lines and play of materials, which are accentuated by piping details. It has a nice round neckline and lies a little more figure-hugging on the body. 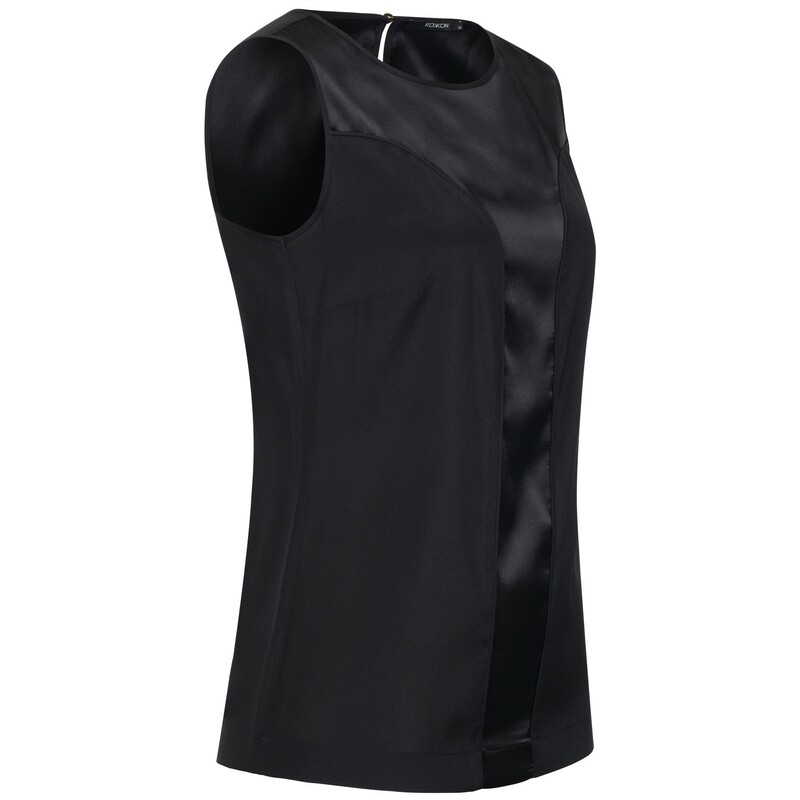 You can combine this silk top both sporty and elegant. 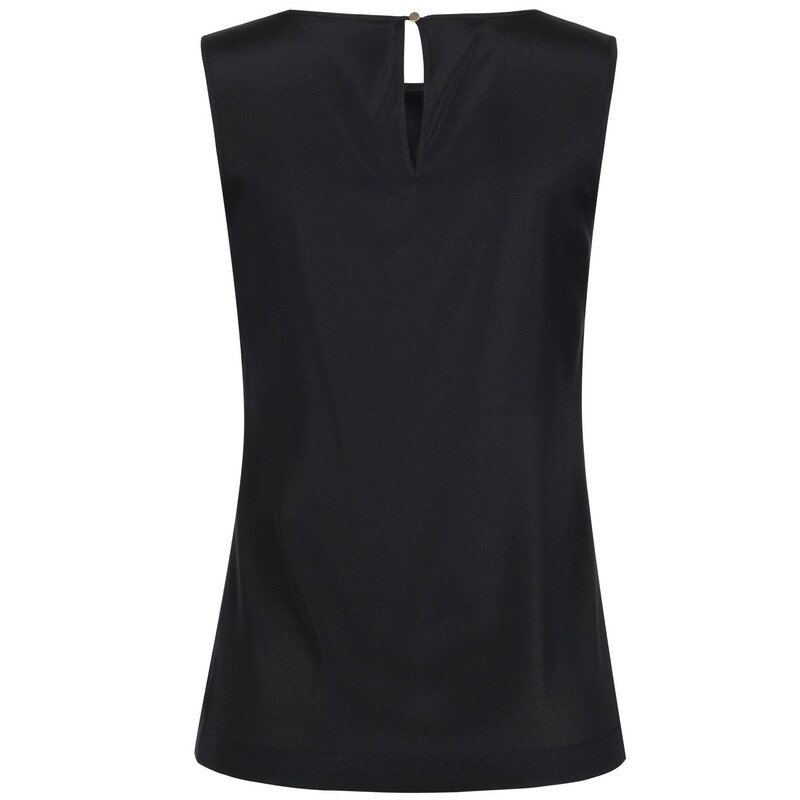 This silk top goes very well with our black Marlene trousers. So you are perfectly dressed for special occasions.